It’s time! They are falling all over the place! It’s walnut season here and they have been quite plentiful! 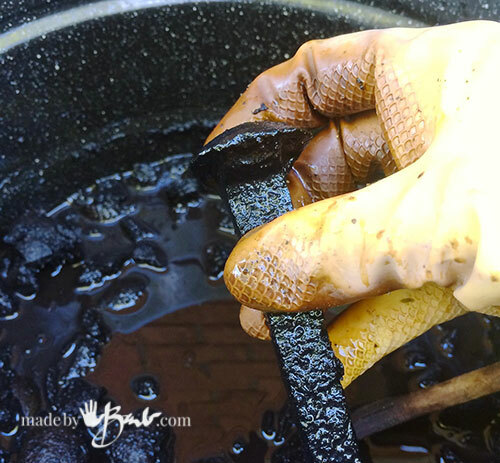 I’ve jumped head first into natural dyeing so making ink from something that was going to rot anyways seemed quite logical, especially for an artist. 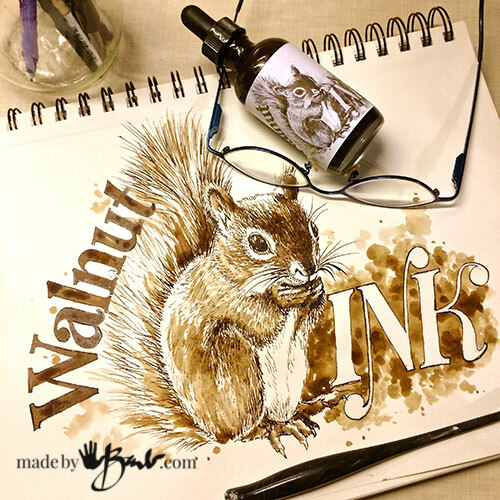 Make your own Walnut Ink with one of these methods; a lot or a little, or give it as gifts. 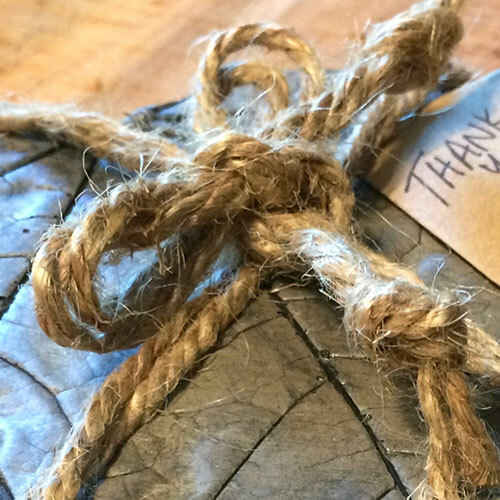 I have even made a label (free download) for you… using walnut ink of course. 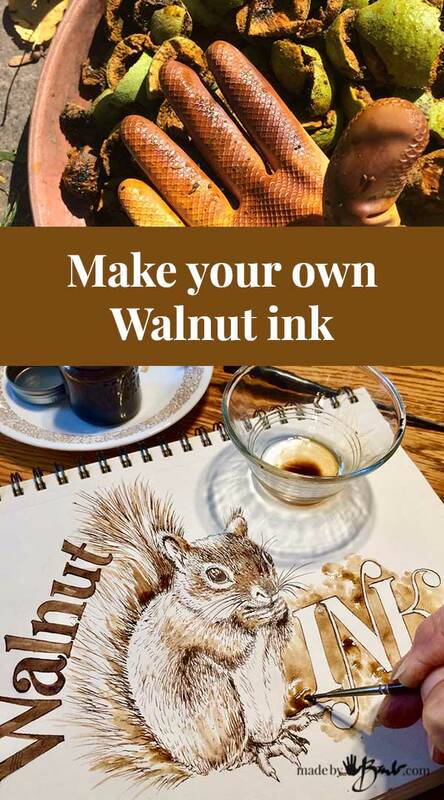 Black walnuts have been a staple in the making of ink for centuries. I am not sure which exact species I was finding but they will all work quite nicely. 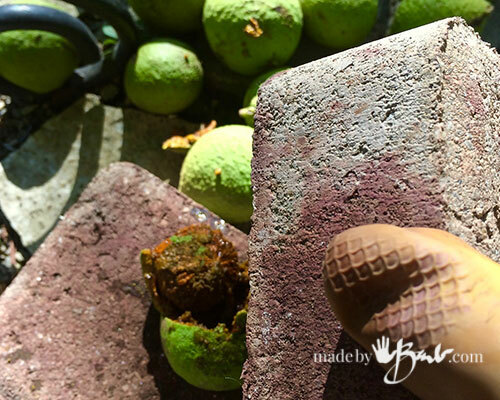 I use what ever I can find to smack the outside of the walnut to peel the outer green layer off. (rock, hammer, brick…) It will start to oxidize and turn dark. 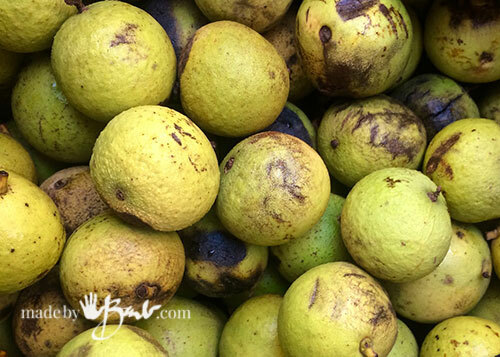 Walnuts pack quite the punch of golden-brown colour dye called juglone. They also have tannins. After removing and collecting the outer green layer add enough water to the shells and put in a large pot. 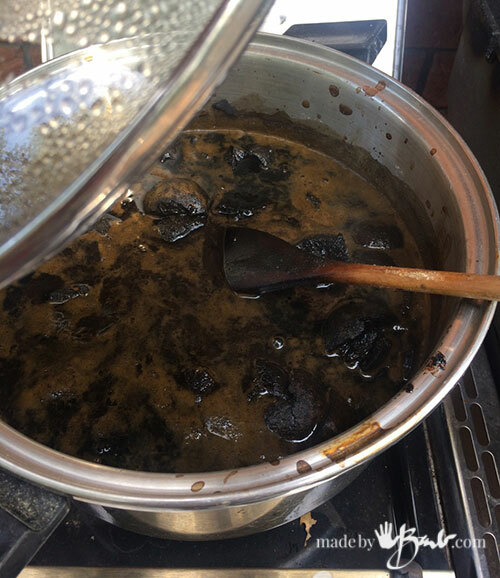 You can let them sit for a few days before cooking to help oxidize the shells but I found that you will yield a darker brown ink. They will however attract fruit flies and start to ferment. I cooked it outside on the barbecue side-burner. If you want an even darker ink you can add some iron or rusty steel. I added an old railroad spike. 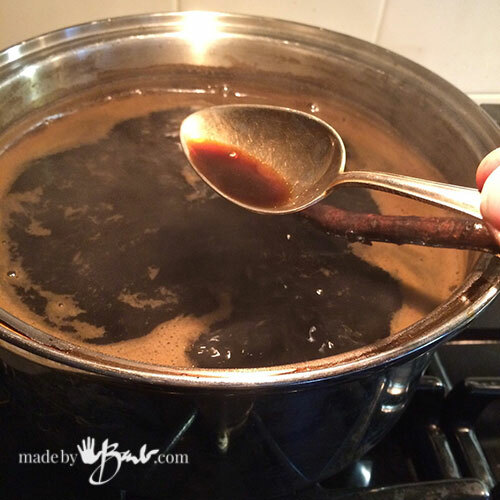 This method is quite messy as after cooking for a couple hours you will need to strain the hulls out. You will need some utensils to scoop out the mushy stuff. 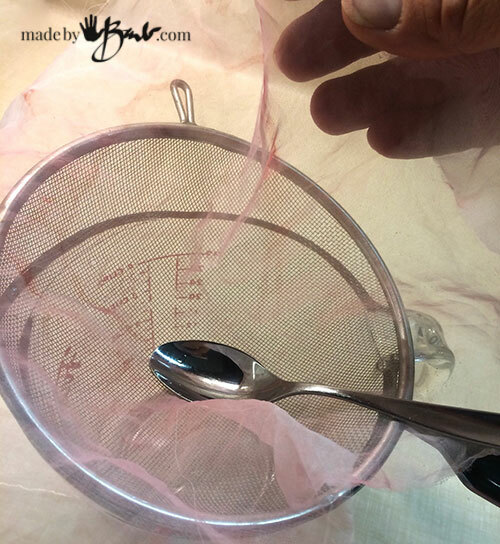 Set a colander over a bucket and use some fabric (old curtain or similar) to strain the dye. 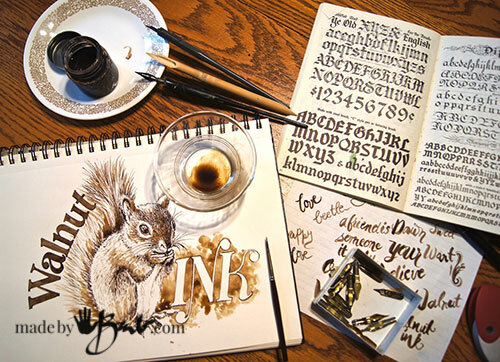 Choose the strength and consistency of the ink according to your preference. 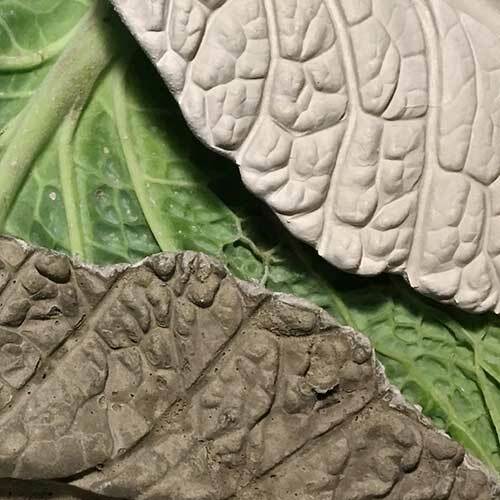 Test it with a brush on paper to see if you need to cook it down more. I like to strain it a couple times with a fine sheer organza or even a ‘nut bag’. 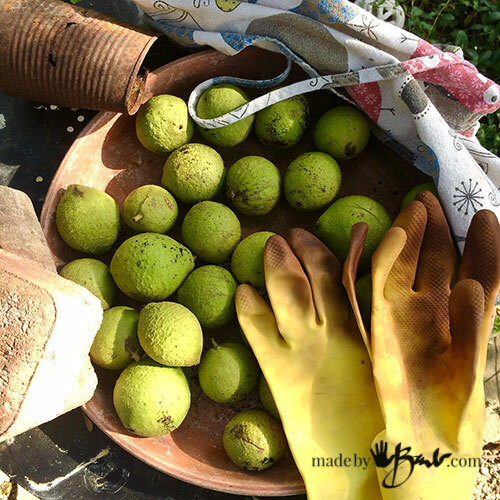 Since I kept finding more walnuts, I kept making more batches. The second time I decided to fast-track somewhat to have less mess. After soaking the shelled hulls well in water for a day, I strained out the hulls before cooking. I used the old curtain fabric and also squeezed the extra water from the hulls by twisting the bundle. (don’t forget the gloves!) 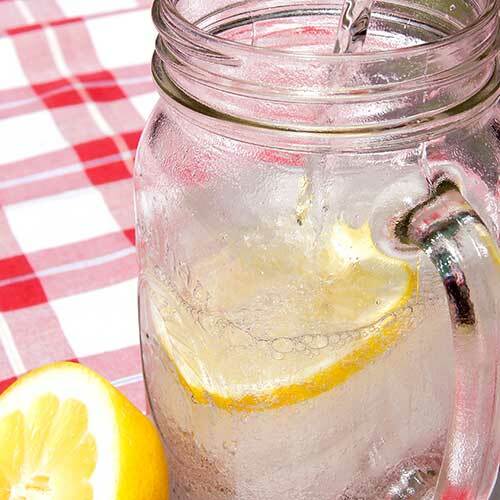 I did that all outside and then brought the ‘juice’ inside to cook. Such lovely golden colour since the hulls were still quite green. 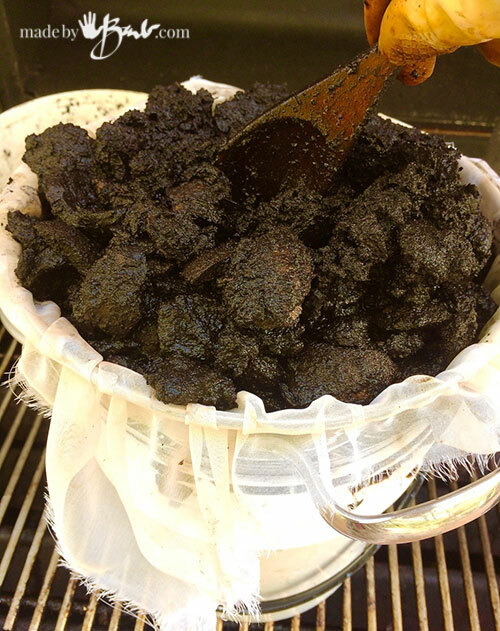 For dyeing wool and silk the less oxidized hulls produce a nicer rich brown. There are many options of utilizing these gems for the process of dyeing including freezing for later use. It only took a couple hours to cook to a fraction of the amount. The sheer organza strains it quite well and it is easier since there is not any mushy black stuff. When you think you have it cooked enough, test it. There will still be some solids in the ink, but you will get an idea of the colour and consistency. 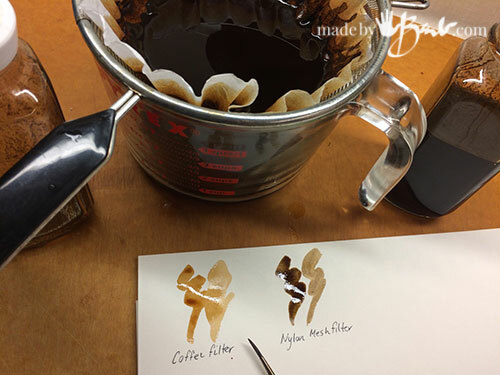 If you want a completely strained ink, you can also try a coffee filter. Since it is so fine it did however take too much of the ‘body’ out of the ink. And it quickly clogged the filter. See the difference of the 2 above. I decided to stay with the mesh filter, and if I wanted the thinner ink version, I would just not shake it prior to using. 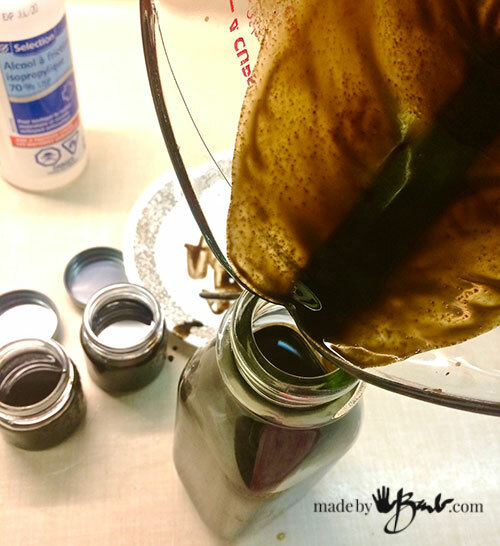 As a way to preserve the ink from growing ‘nasties’ (mould) add some rubbing alcohol (about 5%) Use some well sealing bottles to decant. Less air in the bottle also inhibits mould growth. 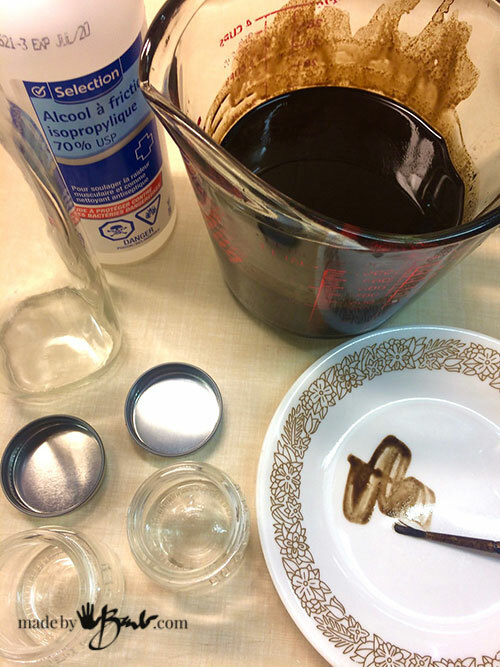 As an aid for flow, you may add some gum arabic or some xantham gum. I was completely happy with how it was without it. This ink (both versions were used here) works great with a brush or with pen nibs. I do think it is too thick for a fountain pen however. I am looking forward to using it for some good old-fashioned calligraphy! As a bonus you may download my label design to print and make your own unique gifts… Enjoy! Yup, I have a couple spots of permanent tan it seems… I love the golden tone! Brings back great calligraphy memories. Thanks Brenda! Barb, Will hickory nuts work also work? I am not sure. Do they stain easily? Maybe do a test of some husk in water and see how the colour and strength is. I recently picked a bunch off the back lawn – and put them in the green bin! Should I not do that since they might want to make compost with the contents? 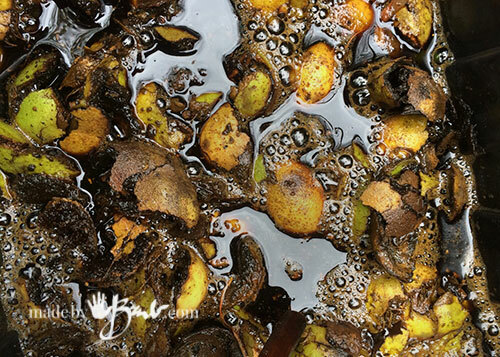 What happens when black walnut compost is used – does it inhibit growth too? I only have access to store bought walnuts will those work?